We should have 10 in stock. Need more? It usually takes us 1 - 2 weeks to bring more in. 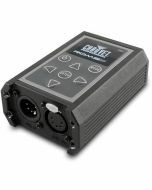 The DMXcat system is designed for use by the lighting professional who is involved with the planning, installation, operation, or maintenance of theatrical and studio lighting equipment. The system consists of a small hardware interface device and a suite of mobile applications. 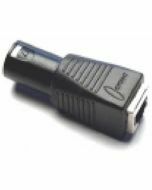 Together, they combine to bring DMX/RDM control plus several other functionalities to the user's smartphone for use wherever and whenever they are needed. 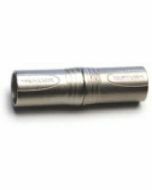 Developed with input from designers and technicians, the DMXcat will be an indispensable tool for lighting users. Works with both Android and iPhones. 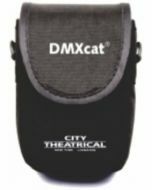 The DMXcat's interface device is a compact battery powered unit which fits easily in a pocket or tool pouch or may be worn on a belt. It uses Bluetooth LE technology for communication with the smartphone/applications (up to 50' range). Without the limitations of being physically connected, the user can move about the workspace as needed with his/her smartphone and run the various apps while still using the phone for on-the-job communication. 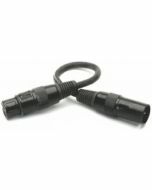 The device's 5-pin Female XLR connector/cable assembly allows it to be connected to a point in a DMX data chain to allow testing and or control of the various DMX/RDM channel functions. 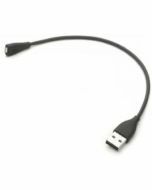 It is charged using a standard USB to Micro-USB cable and charger. 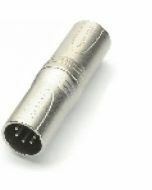 1.63" x 3.75" x 0.94"